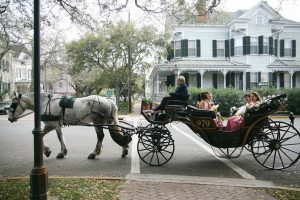 Below are some of our historic bed and breakfast policies which is located in the heart of downtown Savannah, Georgia. Check-in time at our bed and breakfast is 3:00 p.m. Check-out time is 11:00 a.m.
At the time you book your bed and breakfast reservation, a 50% deposit (one-night minimum) is required. In the event that you need to cancel, please give us at least 72 hours notice, prior to your arrival. If you successfully notify us at least 72 hours prior to 3:00 p.m. of your scheduled arrival date, only a $25 cancellation charge will be taken from your deposit, and the remainder of your deposit will be refunded to you. If, however, you cancel with less than 72 hours notice, you won’t be given a refund, but you will be given a room credit, (good for one year), for the full amount of your deposit. Please note that an early checkout is considered a cancellation, and remaining nights are billed according to this cancellation policy. Some holiday or special events require a 30 day cancellation notice. The Foley House Inn accepts cash, Visa, MasterCard, American Express, and Discover. We don’t accept checks or foreign currency. We often (but not always) offer discounts or special offers throughout the year. Those details can be found on our special offers page. You may also check with our front desk for more details. We have a very pet friendly bed and breakfast! We don’t have restrictions on the size or breed of dog, and you don’t need to cage or kennel your dog if you leave the room. We only ask that you give us a cell phone number, so that we can reach you, if necessary. If your dog disturbs other guests, causes damage, or isn’t housebroken, we may prohibit you from leaving your dog alone in the room. You’re responsible for any and all damages caused by your pet. If your dog urinates or defecates within the inn, you’ll be required to pay a special cleaning charge. Pets are welcome in all areas of the bed and breakfast, except the common area interior spaces (such as the parlors and dining room). Dogs can visit the outdoor common area (the courtyard), but are required to be on a leash. There’s a one-time “extra guest” fee of $50 per pet, per stay (not per night). While we don’t have a parking lot at our bed and breakfast, there is plenty of parking available nearby. 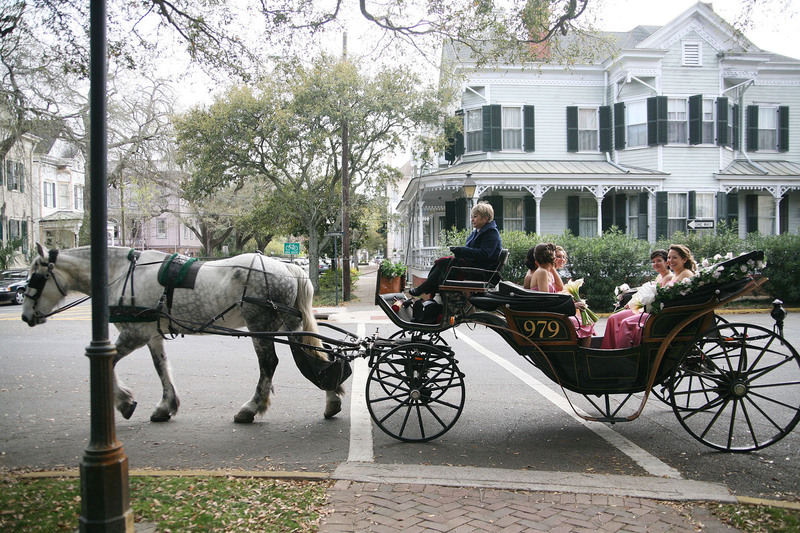 The city of Savannah enforces parking Monday – Saturday from 8:00am – 8:00pm at a metered cost of $1.00 per hour. You can either pay the meters directly with a credit or debit card or with the Savannah Parking App. You can download the app here. It’s free and easy to use. All of our bed and breakfast rooms are non-smoking. And as required by Georgia law, smoking is NOT permitted anywhere inside of the Foley House Inn. Failure to comply with this policy will result in a cleaning fee of at least $200 and may be subject to a criminal fine from the City of Savannah. Smoking is permitted in our courtyard, as long as you’re at least 10 feet from an entrance. This distance is required by law. If you have any further questions about our bed and breakfast policies, please call (800) 647-3408, or e-mail info@foleyinn.com.